Hula Hooping Mom: Allergies - Yuck! 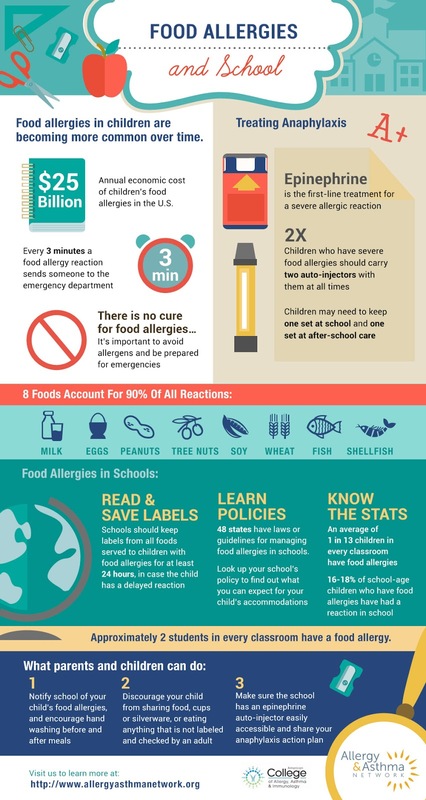 Allergies can affect everyone in one way or another! Did you know that every 3 minutes, a food allergy reaction sends someone to the emergency department – the last thing parents want is for one of those visits to be their child. Luckily my family only has seasonal allergies to the Santa Ana winds and all the pollen it brings up, but I know plenty of parents that do have children with allergies to food substances. This is a great graphic, if you save it to your phone, it's always good to reference!